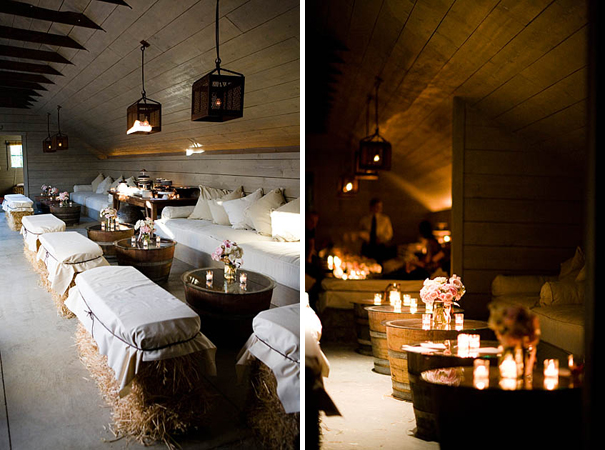 Having a rustic wedding, is your reception located in a barn? Are you looking for an intimate seating arrangement for your guests to enjoy during cocktail hour? 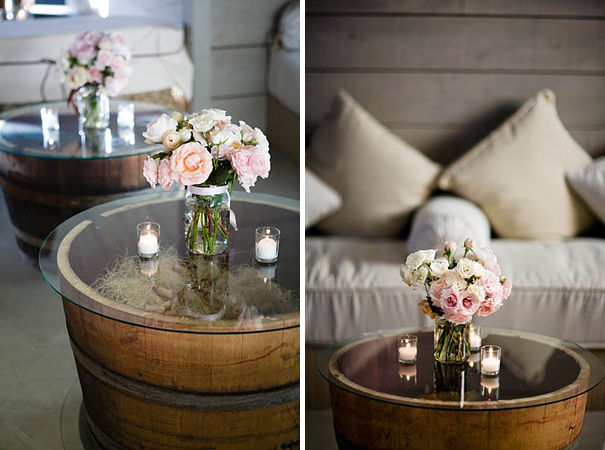 We are SOOO in love with these wine barrel tables, created by Bliss Events. They are absolutely stunning and it's oh-so creative! Let The Bridal Solution re-create this look for you on your special day ... you'll be glad you did! Got the glass from Bed Bath Beyond but all the barrels I find are bigger than the piece of glass.